Though I’m yet to share my 2018 round-up (I will finish it before 2020…), one theatre memory that immediately comes to mind and undoubtedly makes the list is my trip to VAULT Festival. Not only was it my first experience of this eclectic arts festival, but I saw Nicole Acquah’s brilliant play, For A Black Girl – a theatre highlight of the year. 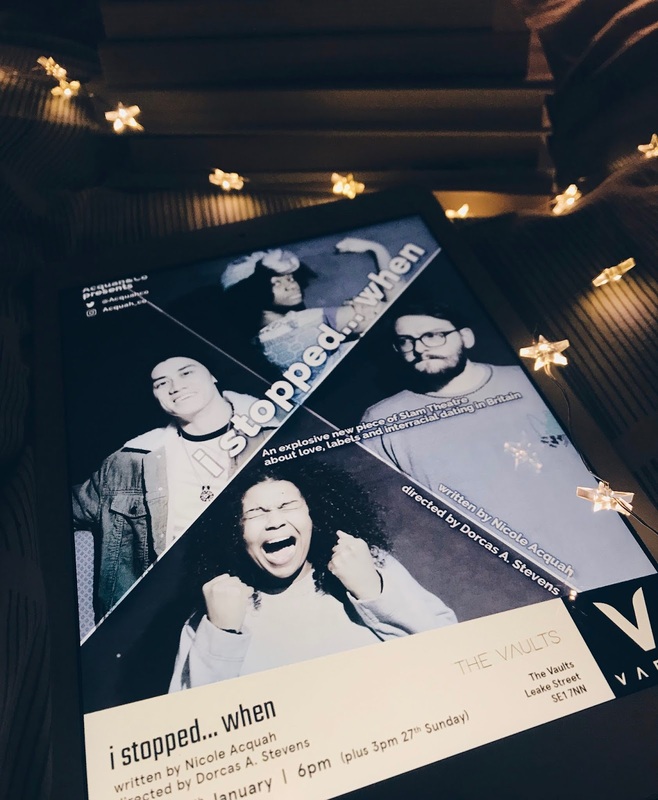 As I vowed to return to VAULT Festival come 2019, it seemed only fitting that I revisit to see Acquah’s latest venture, i stopped…when.